First off, how great is this? Yup, amongst other bands, Gameface is reforming for Revelation Records' 25-year Anniversary shows. Jeff & the guys will be dusting off some of their catchiest hits & bringing the Glass House to it's knees on June 7th. After that 'Day In June', there are tentative plans for Gameface to play more shows in the US - very exciting - so we will keep you updated as we hear more! Now that you're wanting more info, why not 'like' the bands new & improved Facebook page over at http://www.facebook.com/gamefacerock to keep up-to-date with everything GF! 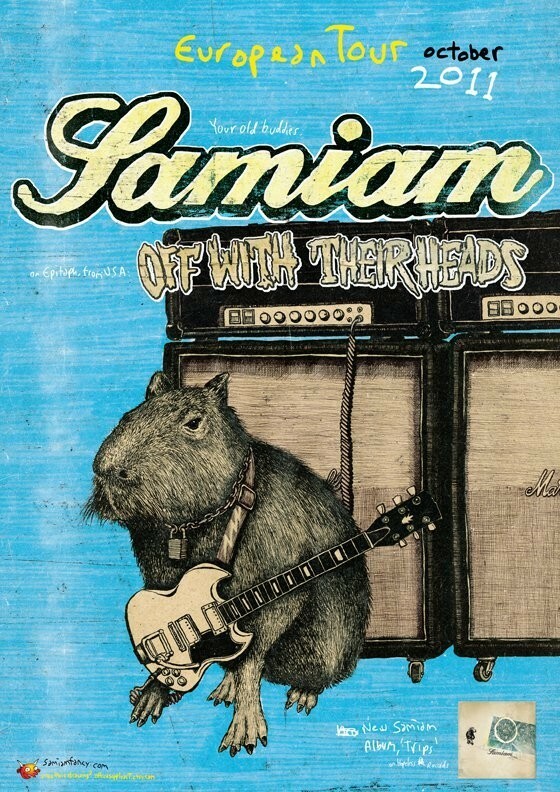 Samiam - "The Free Acoustic Instore"...See youse there! Samiam UK & Euro Tour 2011! As many of you may already know, our favourite Berkeley punks are touring this side of The Pond, and have even got a few UK dates in there too...Can't wait to hear the 'Trips' material live! UK 'non-acoustic' dates are with Off With Their Heads + Apologies, I Have None! Buy our records from real people in a real shop! Unless You Try Records are proud to have all our releases for sale in the mighty Banquet Records. These Kingston-based legends have always been at the heart of the local punk & indie scene, putting on hundreds of shows, organising local charity events and just generally being superb! Here are the dates for Jeff's 2011 UK tour, kicking off at the Windmill, Brixton. Be sure to pick up a copy of Jeff's latest album and say hi!